With summer well on its way, why not take the time to create a brighter home interior to relax in after a day spent outside in the sun? This year, welcome sunlight into your home and transform your interior to create the perfect summer haven. All elements of your home interior should work in sync and contribute to the overall desired look and atmosphere. Learn how to make your spaces into a brighter home with these five tips. In order to make your rooms into an overall brighter home interior, you need to focus on receiving as much natural light as possible. Pay attention to your windows, are they allowing the light to enrich your rooms, or are they tired, worn, and shaded? It’s time to change them if they’re not as large or open as they could be. Draw as much luminosity into a room as you can by contacting the experts at timberwindows-direct.co.uk to install made-to-measure stylish sash windows with large panes. You also need to be able to filter sunlight into your home, so remove items that might be obstructing those rays. Replace thick fabric drapes and roller blinds with day shutters that allow you to control how much daylight can pass through. Choosing to refresh your walls with light colored paint, such as white or cream, will give you a blank foundation that will reflect the light and, in turn, the heat of the sun. You cannot go wrong with painting your walls in fresh white as long as you’re able to keep it looking clean and avoid color transfer from fabrics and handprints. To coordinate with clean and fresh walls, keep your furniture light, and this will allow you to pop textures with wood and hints of color. 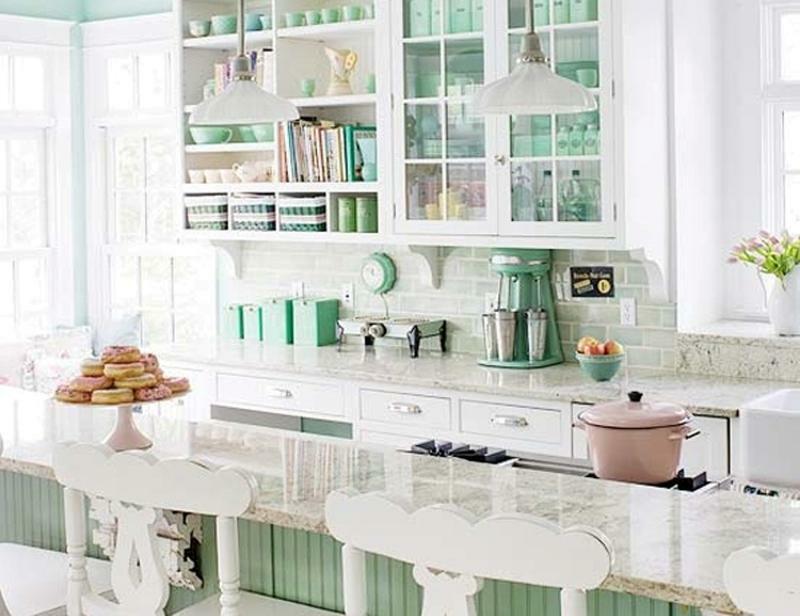 Create a cool and calming theme within every room by selecting accessories and furnishings in the soft hues of light blue, pastel green, cream, and white for a brighter home interior. If you have plants displayed in red terracotta pots, switch them into white or lightly colored glazed ones. Fired clay containers will work just as effectively. Updating your accessories will also help transform a winter-ready home into a sunny retreat. It’s a good decision to add mirrors to each room of your home, to create the illusion of a roomier and lighter space. You can mount them on the wall, or you can steadily place them on top of sideboards, desks, cabinets, or a chest of drawers. As long as they’re secure, then they shouldn’t slip and end up falling to the floor. Reflective surfaces give the illusion of having expansive dimensions and brighter spaces. Metallic finishes work much the same way as mirrors, they’re just smaller and sleeker, and you need more of them to achieve the effect. If you’re installing a new kitchen, bathroom, or living room, consider adding metallic finishes to the dining table. For example, include chrome detailing, a mirrored vanity units with metallic sides, and a glass coffee table with metallic legs or a wooden gloss finish. With these tips, you’ll have a bright home interior in no time!